When Matthew Goodwin writes Nigel Farage’s biography, I am sure you will, Matthew, perhaps he ought to call it Farage: The Diary of a Foxhunting Man (who liked a tab and a pint down the Stockbroker’s Arms)? Farage (heading a party of the working man, women need not apply) has been spending a goodly amount of time cosying up to the Country Land and Business Association (formerly the Countryside Landowners’ Association). Back on July 19th 2014 at Blenheim, Oxfordshire, Farage, a regular Game Fair visitor and shooter, promised that farming subsidies would continue if Britain were to leave the EU. You know, the money we pay to the EU now that Farage says that, if we were out of the EU, we would use to give the low paid a tax ‘cut’. 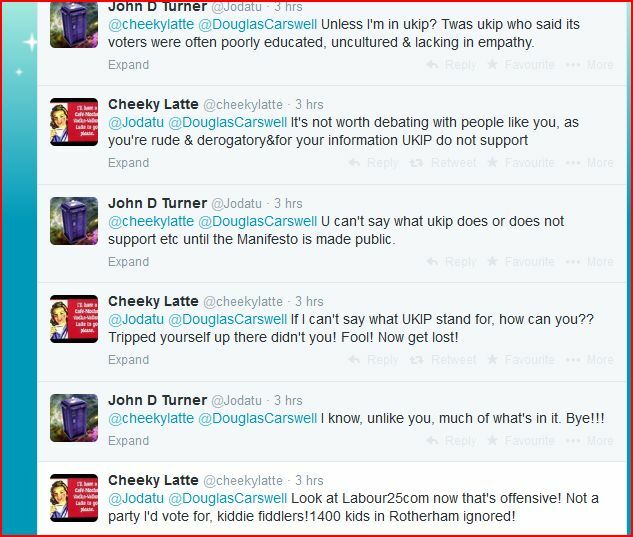 You will note, though, that the panel’s response to the shooter’s anti EU stance was not all favourable. Nice, however, to see that writer and racehorse trainer, Charlie Brooks, has already managed to find (gainful?) employment! 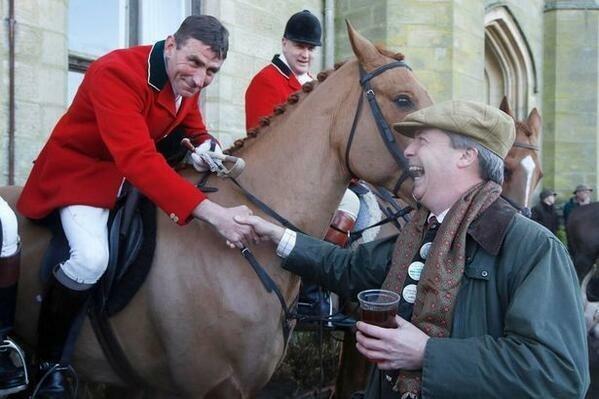 Now, you may be wondering about what Farage’s appearance at a Game Fair has to do with repealing the Hunting Act 2004? Well, check out this article in the Sunday Express of 28th September 2014. Yes, Elizabeth Truss (a member of the party of the working class, its trade union that has a bit of a problem with women) thinks devoting Parliamentary time to repealing the Act, if the Tories form the next Government, is more important than other matters which fall within her portfolio. I am sure her stance is in no way affected by the thought of losing 500,000 votes to ukip. So we have an organisation devoted to representing the interests of the landed Establishment (a trades union) lobbying two Right wing parties, dominated at the top by members of the Establishment. And yet, ukip, in particular are the insurgents, the mould breakers, the party of the ‘left behind’, a peasants’ revolt in the making … The definition of the ‘left behind’ has become very flexible, if it now includes people like country landowners and their neighbours, the peasantry (in the original sense of the word)? These landowners hardly need ukip’s help to get their points across. They sought to infiltrate the National Trust and overturn its hunting policy in 1998. You will note who they did get elected, whose friend he just happened to be and the use of the term ‘political correctness’. Now take a look at FONT’s slate in 2001. A number of them, Clarissa Dickson-Wright in particular, ‘forgot’ to mention the reason why they were seeking election. Ms Dickson-Wright wanted to put her culinary skills at the disposal of the Trust. All she had to do was volunteer to work in the kitchen at one of the Trust’s properties not go to the trouble of getting elected to its ruling council. I took particular pleasure in voting against FONT’s slate. Incidentally, ukipers, the National Trust is more democratic than ukip and a lot more fun (and British) too! Labour, Matthew Goodwin particularly says, needs to face up to the challenge of ukip. In this regard, good advice about 200 or so years ago, but today most of us live in urban areas and we have universal suffrage. It did, however, take from 1949 to 2004 for the will of the people to prevail and a hunting with dogs ban to be enacted. Matthew is big on ukip addressing the issues of the ‘left behind’ whose interests he, condescendingly and patronisingly, thinks do not extend to matters such as climate change. Well, Matthew, care to explain the level of support for the Hunting Act to remain in force? Looks to me like a lot of us (working class boy made good, me), including ukip supporters support the ban. Our concerns, Matthew, and those of “metropolitan liberals” quite often overlap. I do wonder if Matthew was spooked by Polly Toynbee during his formative years. 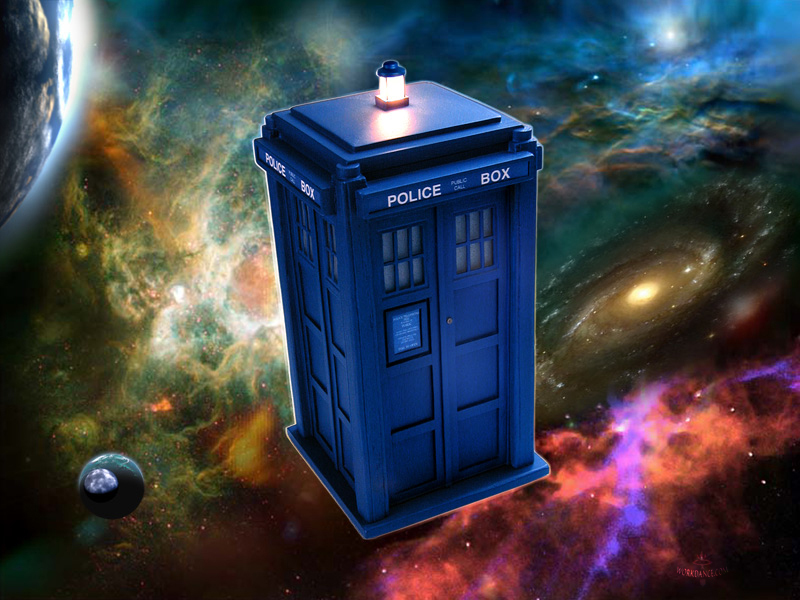 It would certainly explain a lot! Finally, lest we forget, we are not just talking about allowing people to hunt foxes again, a Christmas card scene, but Bambi’s mother as well. Let us also not forget the words on a placard (held by a farmer) in a Steve Bell cartoon marking a Countryside Alliance March against the passing of the Hunting Bill, “Give us yer money and eff off our land!” Well, ukip, just whose side are you really on? 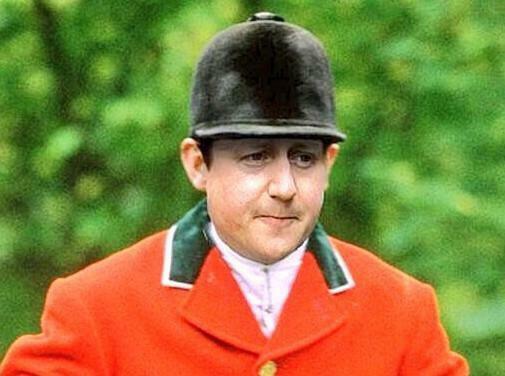 Him and the ruling, rural elite or the rural poor (and the many who support the Hunting Act)? In his haste to rebut the contents of this video, Nigel Farage revived the County Health Boards proposal as set out in ukip’s last comprehensive health policy. A policy which I have been told on Twitter by some ukippers, is no longer ukip’s health policy, but, by others, that it is. ukip earlier this year said it would “revert to local Health Boards, also giving some Boards the freedom to impose prescription charges.” “The majority of health care spending” would be devolved to “elected County Health Boards, making spending decisions directly accountable to the public locally.” ukip thinks this would reduce costs not increase them. Hardly the case when one looks at the increased cost of administering free schools. Once the NHS has been balkanised, broken into 83 parts (not including London), as Farage proposes, then no one can say what that would mean in terms of charging for services etc. What it does mean is that our public health care system would cease to be a national one. 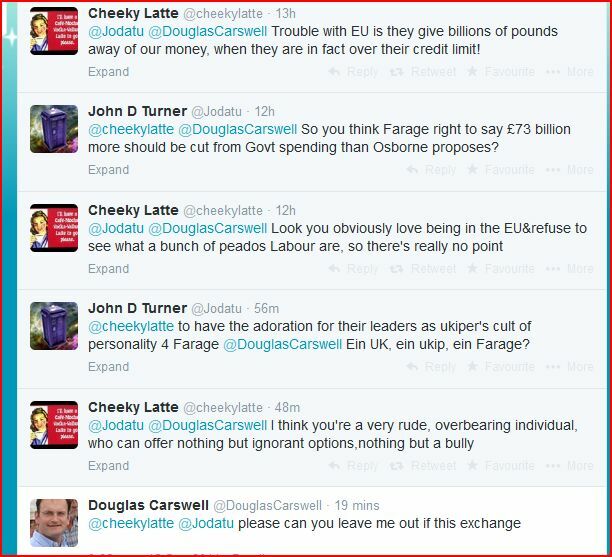 Credit where it is due that Kamikaze (Douglas) Carswell asked to be removed from the exchange above. Pinning Down Farage: What is UKIP’s policy on the NHS and health? I will edit this post if I receive an apology in full from Cheeky Latte that I may ask to be published on a number of websites.